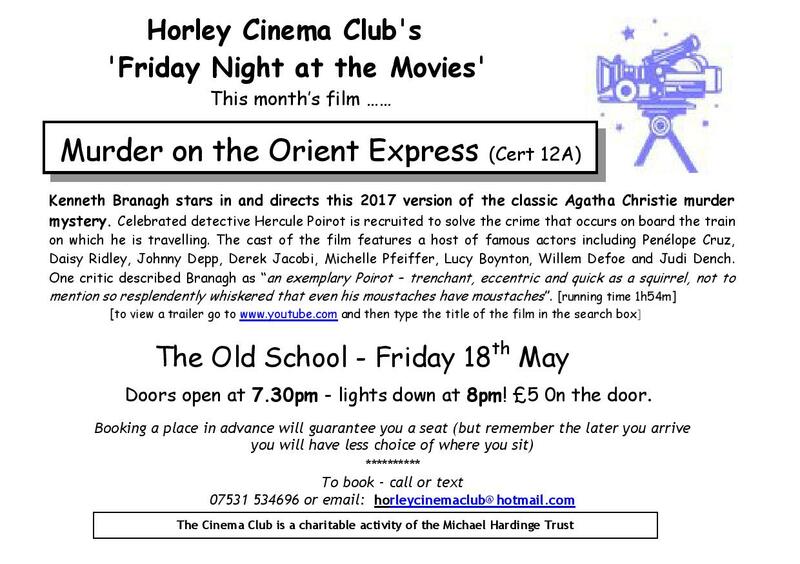 This month’s cinema club film is ‘Murder on the Orient Express’. Click here to see a short trailer. This entry was posted in Activities and tagged Cinema Club, The Old School on May 12, 2018 by thehorleyviews. 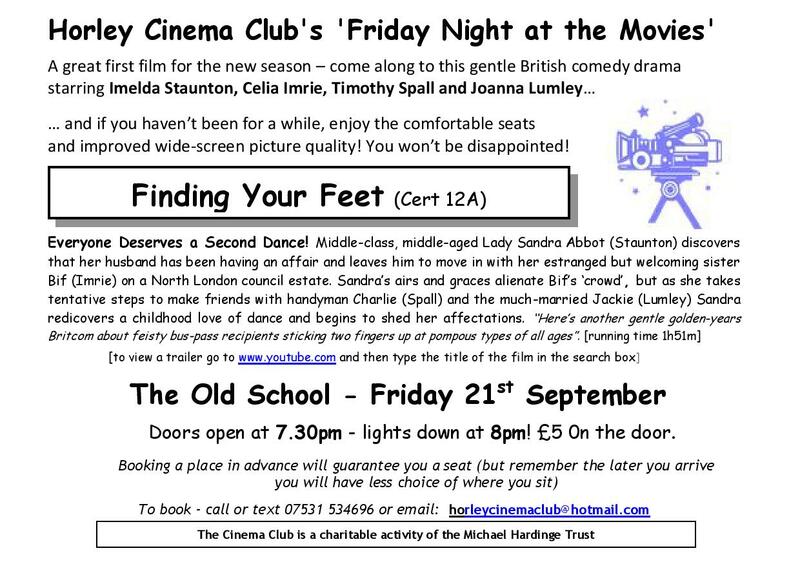 Cinema Club – Friday 20th April – 2 for the price of one! 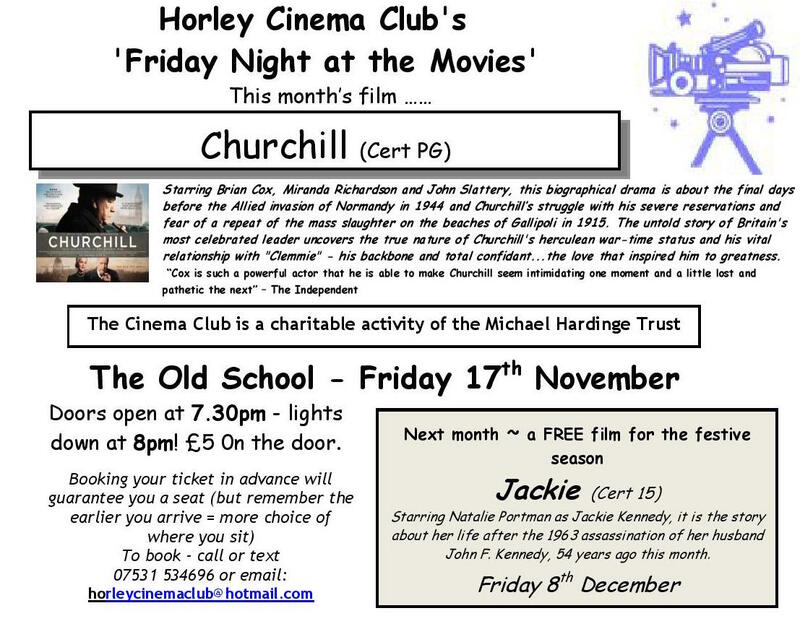 This month’s cinema club film is ‘Victoria and Abdul’. 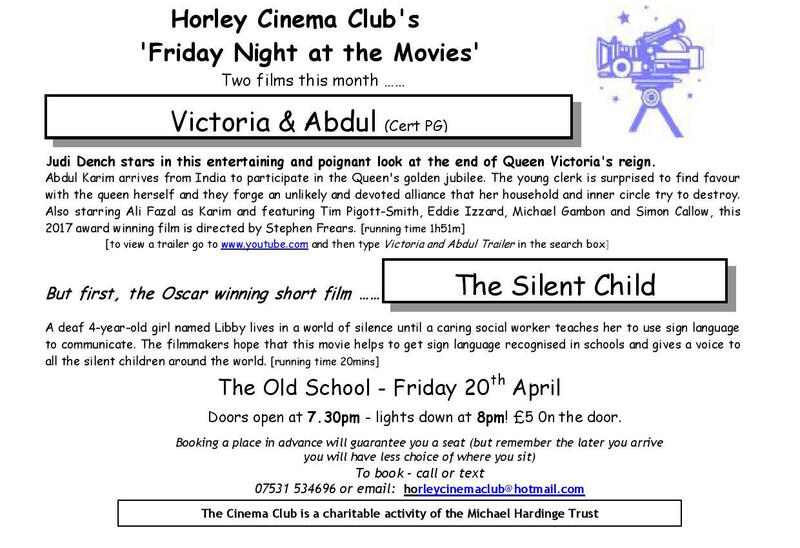 Prior to the showing of this film there will be a screening of the award winning ‘The Silent Child’. This film is only 20 minutes long so the start time will be the usual time i.e. 7.30. 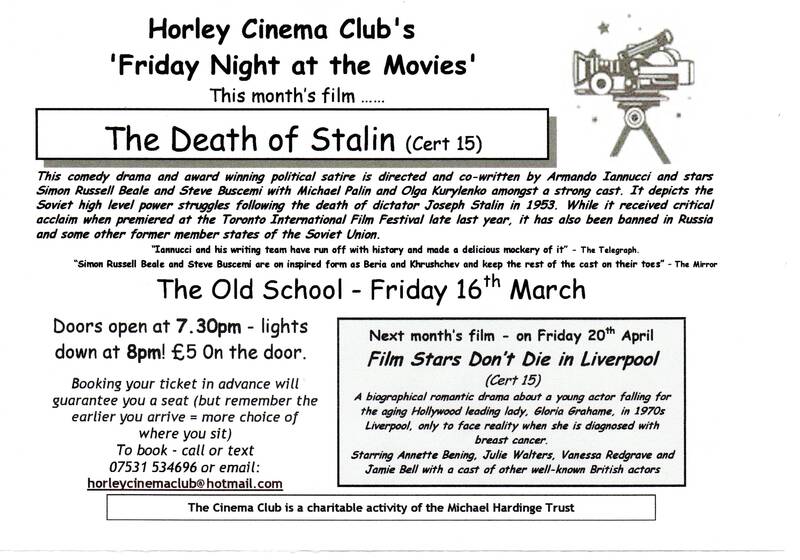 The MHJ will be making a donation to the charity associated with this film. This entry was posted in Activities and tagged Cinema Club, The Old School on April 12, 2018 by thehorleyviews. This entry was posted in Activities and tagged Cinema Club, The Old School on March 7, 2018 by thehorleyviews. 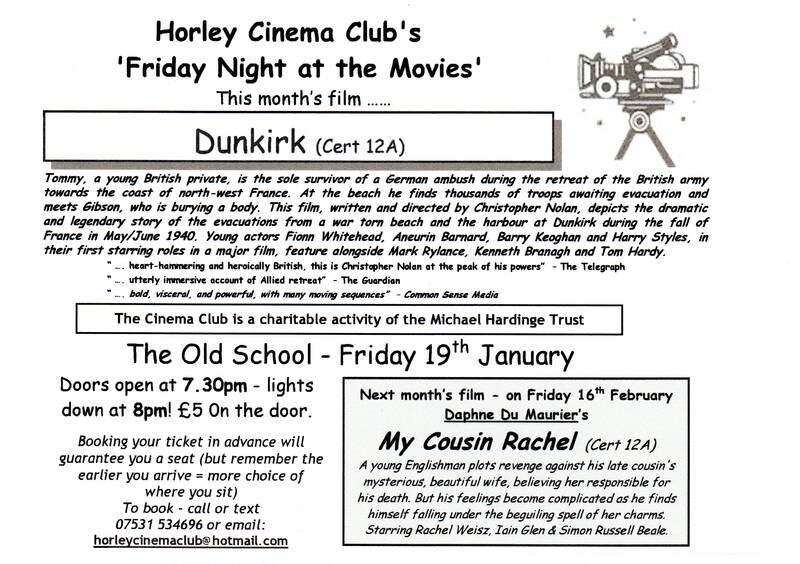 This entry was posted in Activities and tagged Cinema Club, The Old School on February 11, 2018 by thehorleyviews. 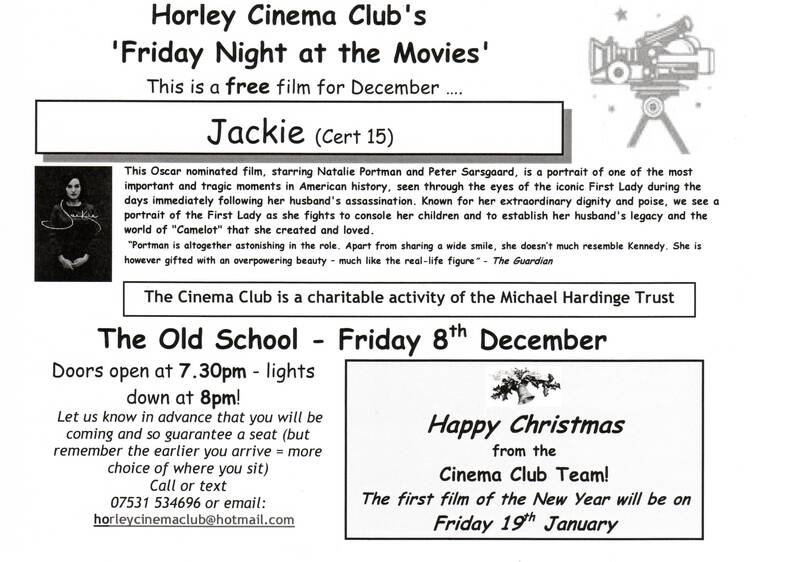 This entry was posted in Activities and tagged Cinema Club, The Old School on January 9, 2018 by thehorleyviews.